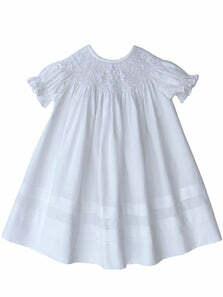 This is an absolutely beautiful baby Dove Christening gown. 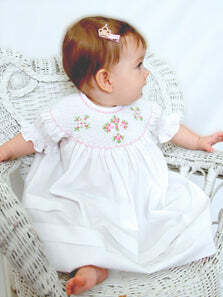 The white smocking on the chest makes the background for an embroidered dove with wings outstretched. 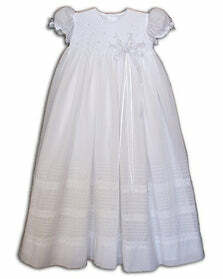 3 rows of 3 pin tucks adorned the long skirt. 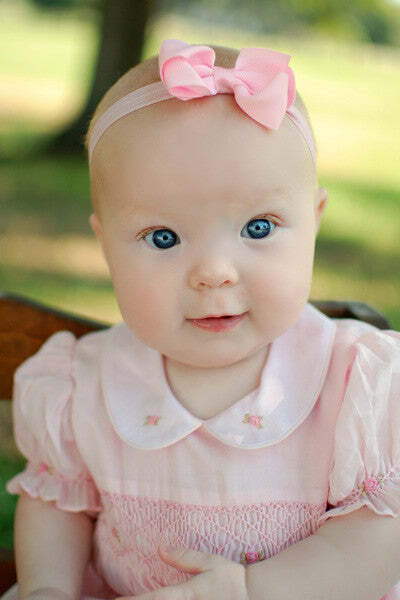 Made of 100% luxurious pima cotton. 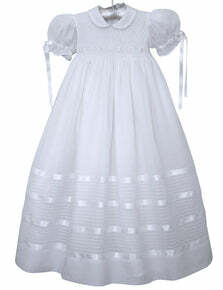 This baptism gown also comes with the matching smocked bonnet an under slip. 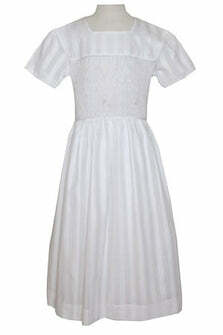 Simple yet elegant, this is the gown she needs to be wearing on her precious day.